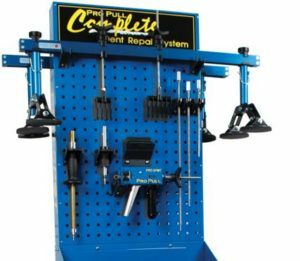 The Society of Collision Repair Specialists and Pro Spot announced Thursday that they’d give one lucky SCRS booth visitor a nearly $9,000 dent removal system this year at SEMA. This year, Pro Spot donated a Pro Pull Complete PP-22, which SCRS said offered precision, more opportunities, lower cycle times and increased profitability. A spot hammer with 9-, 16- and 21-inch weld-on shafts to pair with the Pro Pull. The PR-3 Auto is the star of the rack, able to create high-power, low-time welds that spare the panel backside’s corrosion protection. 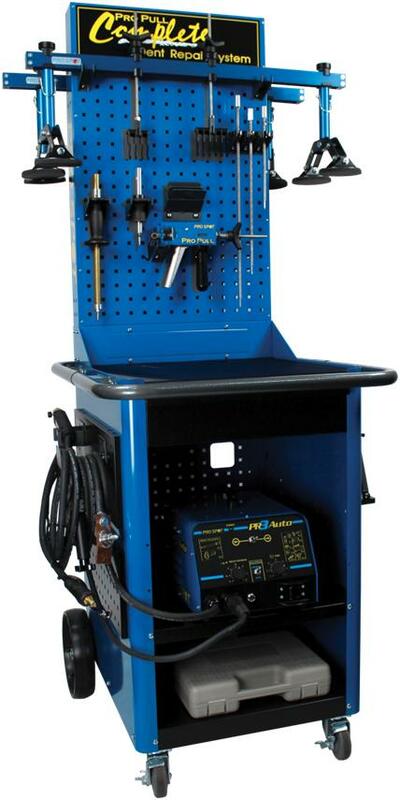 It also can sense if a weld tip or pull key has made contact and start welding on its own after a short pause. The PR-3 works quickly and avoids burn-through, preventing corrosion and getting repairs done fast. It has two guns, a standard model and a T-handled versions for multiple-pull area. Want to see the PR-3 in action? Visit the Pro Spot booth, No. 10839 in the North Hall of the Las Vegas Convention Center at SEMA. Want to win it and the rest of the Pro Pull Complete? 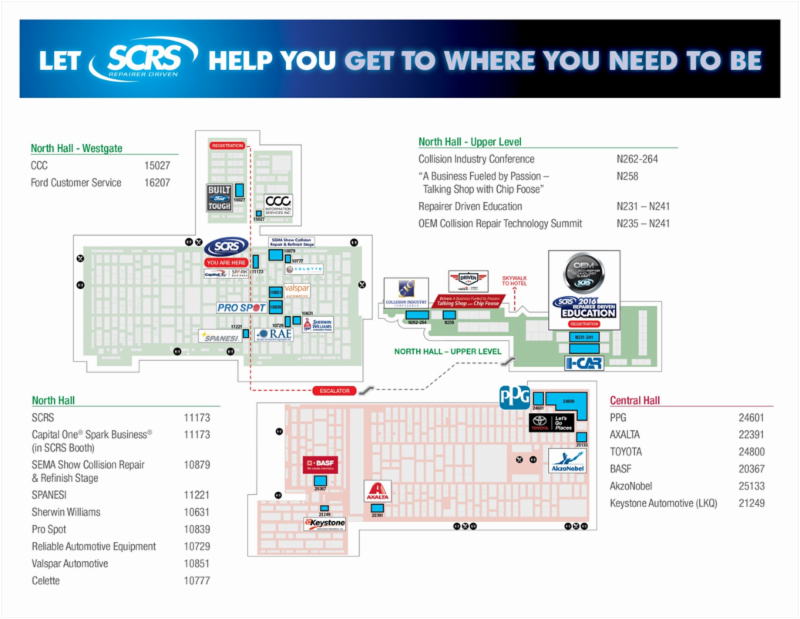 Visit the SCRS booth, No. 11173 in the North Hall, and pick up a report card listing companies which supported the Repairer Driven Education series at SEMA. Visit each sponsor, collect stamps from each one, and return the finished card to the SCRS booth by 11:59 a.m. Friday, Nov. 4. The drawing to determine the winner of the Pro Spot system will be held immediately afterward, at noon Friday, Nov. 4. “We would never be able to afford this piece of equipment,” he said last year.